What do you get when you take two cousins, generations of experience in the stone industry and customers yearning for a product to care for their granite and other natural stone surfaces? Granite Gold! 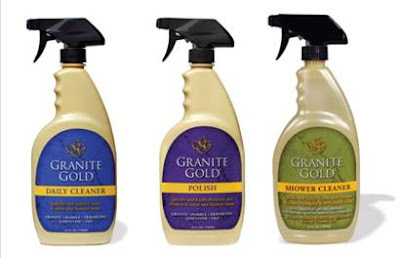 Granite Gold is the stone care expert, and our specially formulated products care for and protect your investment in natural stone surfaces. Founded by cousins Lenny Sciarrino and Lenny Pellegrino in 2003, they started selling Granite Gold to their own customers in their respective business, European Natural Stone and Pellegrino Marble Company, which then grew to local retailers and online. Eventually, with the rising popularity of granite and natural stone surfaces, the Granite Gold cleaning and maintenance system was gradually making its way to store shelves across the country. 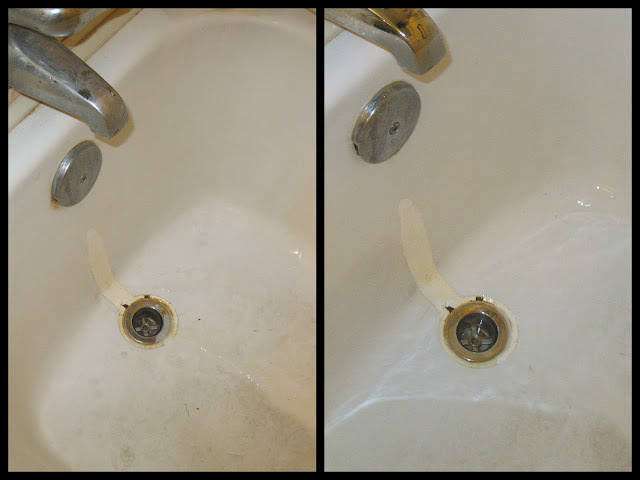 Use instead of household shower and bath cleaners which can damage natural stone. 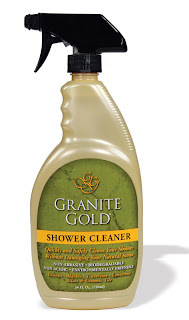 I was given the opportunity to try the Granite Gold Shower Cleaner and I was a little leery. Not about the product but about the description. My tub is enamel so why would I use something called Granite Gold? I was also not too keen about showing my ugly bathtub to the people of the Make This House a Home Giveaway Hop but, what the heck... I have been battling mildew all summer and hard water satins daily, I give up! When the product came I thought sure, I'll get to this tomorrow or the the next day but then both kids took a bath after a day of digging ditches on the chain gang so my tub was way dirtier then normal. Perfect opportunity to take before and after pictures! 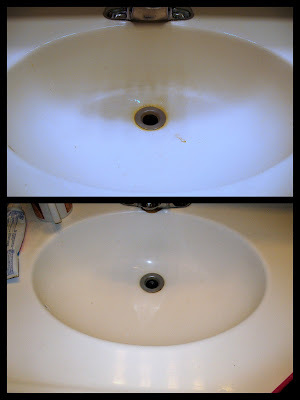 Since, I was cleaning I figured I would try the sink and what would you know, cleaned up nicely! Even got the coffee satin off the surface where I keep my mug in the morning (don't judge me I need my coffee). I'm waiting for that day that I get a product to review that does not live up to its claims and I am glad to say this is certainly not the day nor the product and I get to give away three (full size) bottles of their most popular products. 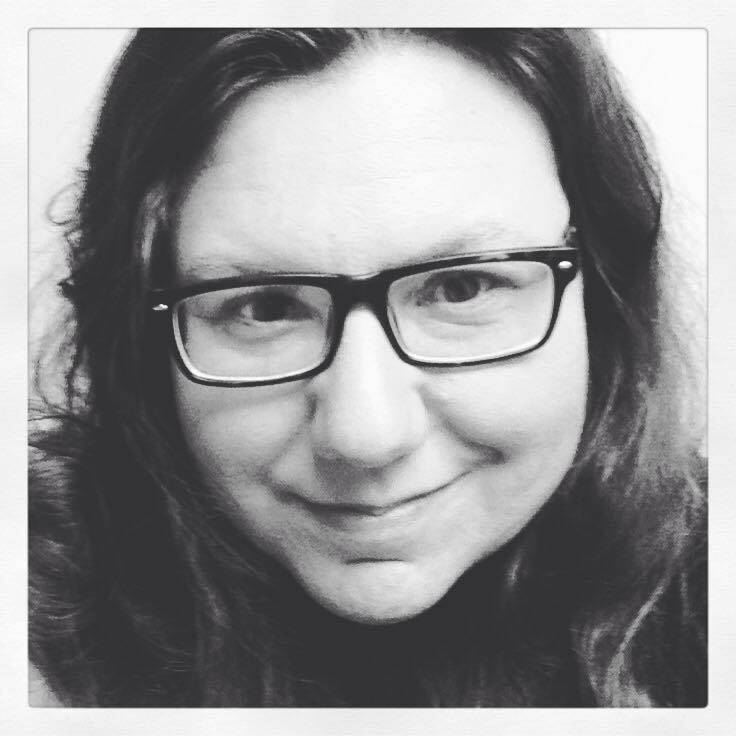 Daily Cleaner, Polish and Shower Cleaner (value $25) in the Make This House a Home Giveaway Hop starting on Friday, July 20. Can't wait? You can buy them here. 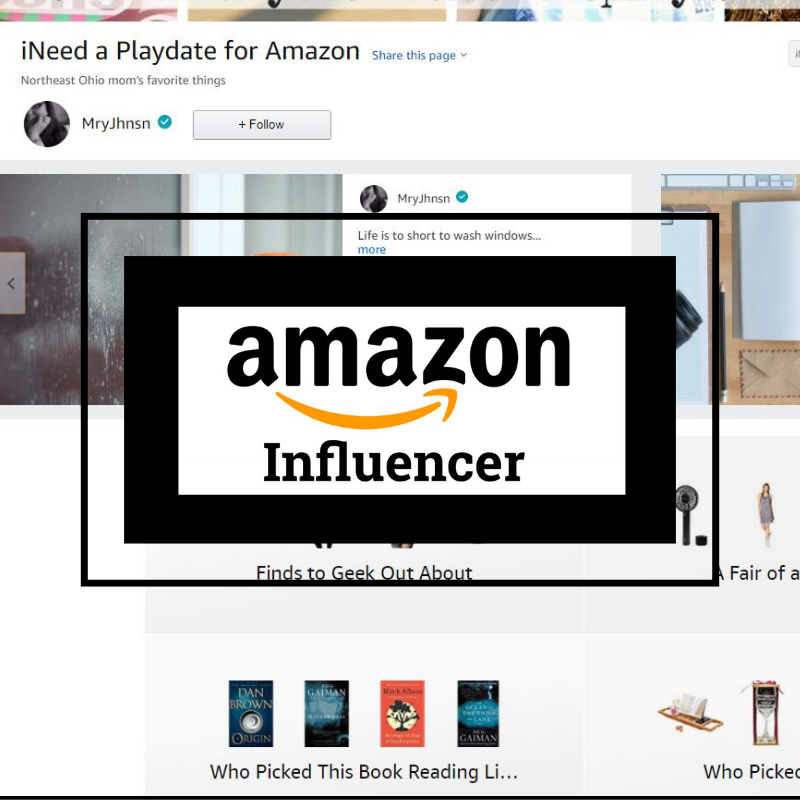 I received the product from the company for the purpose of this review above but did not receive any other compensation. The opinions are 100% mine.